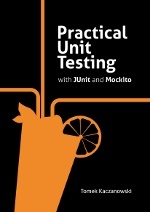 The book is a very complete and detailed handbook on unit testing. 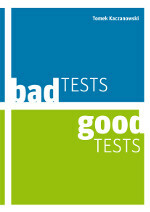 It covers all the things you should know to write high quality unit tests. I will soon publish more information on the book. Follow me on Twitter for news. Please visit the official site of the book for more information. Submitted by Anonymous on Mon, 02/20/2012 - 06:29. Hi Tomek, congratulations! From the official site of the book, I find you will post source code after you publish the book, which is very very good for our coders. How do you publish this book? Do you have kindle version? Looking forward to your book on unit tests! Thanks. Submitted by Tomek Kaczanowski on Mon, 02/20/2012 - 08:22. I plan to self-publish the book. The printed version probably via createspace.com on Amazon. 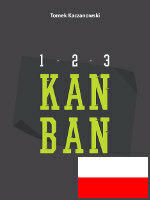 There will be kindle version as well, ePub and PDFs (vie e-junkie.com). Submitted by Anonymous on Thu, 03/29/2012 - 17:49. Hi, I am wondering if you know when the printed version of your book will be released? Submitted by Tomek Kaczanowski on Fri, 03/30/2012 - 00:25. I'm really sorry, I am not able to answer this question yet. The PDF for printing is ready, but I have no experience with Amazon printing service so far (apart from reading its documentation) and I do not know how long it takes after I upload the file till it is available in print. I hope it doesn't take ages. I will inform you (using twitter, google plus and book site) when I know anything for sure. Submitted by Anonymous on Thu, 03/29/2012 - 13:20. 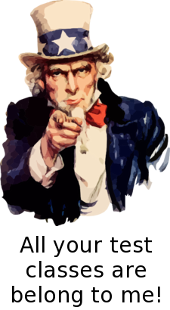 When we can expect Kindle or Mobi version of your book? Submitted by Tomek Kaczanowski on Fri, 03/30/2012 - 00:29. I plan to release ePub really soon (meaning: next few days if not this weekend). As for Kindle, it depends to some extent on Amazon (see my reply to another comment above). I have no plans for Mobi but I hope ePub will be also fine. Will it? Submitted by Anonymous on Tue, 04/03/2012 - 20:54. Thx for reply. Yeah, will be fine. Waiting especially for Kindle edition.